Doctor who is an amazing show and i'm trying to figure out how many other people watch it too! This site has a tremendous number of Whovians. I think I won't be wrong if I say that almost every second active person on the site is a huge fan of Doctor Who. I'm not a "true" fan like some as they have been following the Doctor's journey for a while, and I hopped into his Tardis just recently, a year or so ago. I did however go through everything DW related post-2005 and I'm very anxious for August 27th to come so I can start watching the next season! Though honestly speaking, that last trailer gave me quite the reason NOT to look forward to the season too. Oh my god baby weeping angel is CREEPY!! I'm a Doctor Who fan as well... I can't wait for the new season that's coming up soon! By the way, do you watch Merlin? I'm obsessed with Doctor Who I've been watching it since the 9th Doctor when my mom told me about the show because she used to watch it way back when she was a teenager. If you were to walk into my room all you'd see is things about Harry Potter, Doctor Who, Avatar, Naruto, Hunger Games, & Game of thrones. There's currently a mini-series (1-2 minute per epi) that runs on Youtube called Pond Life and there will be a new epi each day till September 1st when the new Season starts with Asylum of the Daleks. No way. I'm going to go check it out right now. I've been re-watching all the seasons from when the 10th appeared until the most recent episodes all summer. I loved Pond Life! Especially the episode with the Ood (episdoe 5 I think). Last edited by Lavender Emyrs on Fri Sep 07, 2012 4:11 pm, edited 1 time in total. I like Doctor Who and used to watch reruns of the old show on PBS all the time, but I don't like Moffat or Chibnall that much, so I haven't been looking forward to the new seasons all that much. However, my love of dinosaurs and spaceships made me love Dinosaurs on a Spaceship anyway. 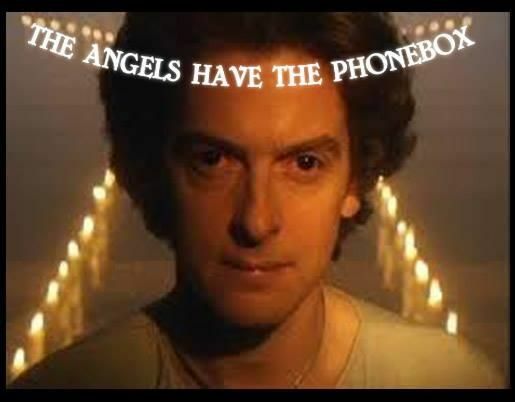 I started with Ten, still favor him, but 11's pretty okay. I can never watch Ten's last episode again. I MISS 11! I can never watch his last episode again! Can't wait to get to know 12, hope it works. I also managed to see Nine's season, I can never watch his last episode again either. He died, regenerated to save her and then he lost her. And poor, poor Jack. Army of Ghosts and Doomsday are also banned from my house and now so is Silence in the Library/Forest of the Dead. And Angels take Manhattan. Last edited by Michelle Erickson on Tue May 27, 2014 12:38 am, edited 1 time in total. "You could be a greater hero than you know. So be kind, do good, and change the world. Because you are capable of that. Hmmm. So who is going to play the next Doctor? I have not seen DW yet, but i would like to someday. I heard it was really good. I've been watching other shows like The Walking Dead, Once Upon a Time, etc. etc. I might watch DW today. For the record, Capaldi is doing brilliantly as the Doctor, though in my opinion Matt Smith still reigns supreme. I couldn't see the first show as it came out; had to wait for it to be downloaded and sent to me. One person, though, watching it 'live', texted me: Capaldi IS the doctor. My favorite is probably #4 and #9 (and I loved the War Doctor and wish there could have been more of him). Oh, yes, 8 was good and 10 ... was my first so like that old expression goes - you never forget your first doctor. Maybe I just like Doctor Who. I think fey is a wonderful word to describe him, Tarma, and I think that's one reason I love him so much. The Doctor isn't supposed to be 'human', he's an alien for Merlin's sake! I've seen complaints on other forums that Capaldi's Doctor is not 'relatable', which I honestly find complete and utter rubbish. And yeah, I kinda blame Tennant for that one, sorry. Don't get me wrong, I absolutely, positively adore David Tennant and his portrayal of the Doctor. But his Doctor was way too 'human', and the popularity of Doctor #10 set the benchmark (I feel) of what the Doctor 'should' be for a lot of fans. It's refreshing to see Capaldi carry on in the Baker/Smith tradition of being 'not so human', yanno? Of course, I am also a sucker for Hartnell's First Doctor, and Capaldi's Doctor really resembles him quite a bit, so that could be another reason why I have such an affinity for him. Clara..eh, I can take her or leave her, though she is starting to grow on me a bit. Put it this way, I like her better playing opposite Capaldi than I ever did Smith. She's not my favorite companion, but not my least favorite either. That dubious honor would belong to Melanie Bush from the Classic years...egads I despise her. I'm going to agree that Fey is a good way to describe Capaldi's doctor. All the same, I've been really enjoying him on board. I really like too, the similarities between him and Hartnell. I don't know if it's intentional or not, but with Capaldi being the first of a cycle, it makes a sort of poetic sense. As for the not being human enough, I don't think the Doctor is supposed to be human. That's why there's the companion(s). They provide the sort of 'human interface' to help the audience interact with the Doctor. I do have a theory that 10 was so human because of Rose, but that's just a theory. Clara, meh, I can take her or leave her. I do think her bossiness is a bit offputting, but that's a bit hypocritical of me, since I can get bossy myself. Lol. But I don't dislike her either. I don't have a least favorite companion really, since I'm still fairly new to the show. A new treat for Whovians as well (I suspect BBC might be trying to hurt our poor little fan brains by releasing both a sherlock and dw trailers on the same day). I'm excited to see who Maisie Williams ends up playing. The doctor's granddaughter, Susan? Ten's daughter, Jenny? His wife, River? I just fangirl squealed! This is fantastic! Thank you for sharing! Now if you'll excuse me... I'll be rewatching this multiple times. His HAIR! lol! I can't get over his hair in the trailer. Anyone else? ..or am I alone in finding his hair amusing?